We are located in Middleburg Heights, near the Cleveland-Hopkins International Airport. Coming from I-71 take Exit 235 toward Bagley Road, coming off the ramp head west on Bagley Road, turn right on Engle Road (first stop light), Turn left on Englewood Drive (first stop light), Turn left on first drive at 6908 #A. The Cleveland location serves northern Ohio including the cities of Akron, Medina, Elyria, Ravena, Canton, Parma and Ashland. 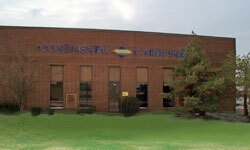 Continental Carbonic Products, Inc. in Cleveland, OH is one of 46 locations in the U.S. and Canada where you can buy dry ice in both cut block and pellet form. Continental Carbonic offers the highest quality, food grade dry ice in the industry.